The Law Office of Steven M. Logan prepares all legal and factual Defenses of merit for his clients who have been arrested in South Florida. 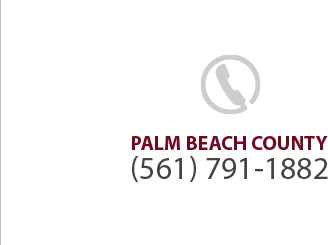 My office is located in Palm Beach County which is central to Broward, Martin and St. Lucie Counties. In the Defense of Alibi, the Defendant asserts that at the time and place the crime was committed; he or she was physically in a different place. If an alibi is established, then the Defendant could not have committed the crime as a matter of legal impossibility and therefore is entitled to an acquittal. Florida Rules of Criminal procedure 3.200 requires that Notice be given to the State Attorney’s Office at least 10 days before trial. The notice should include the exact place and time where the Defendant was when the alleged crime was committed, as well as the names and addresses of anyone who can corroborate your whereabouts. This Notice requirement was a big issue in case from Broward County in the case of Martin v. State, 41 So 3d 1100 (4DCA 2013). The Defendant was denied testimony of 2 alibi witnesses, because he failed to notify the State Attorney’s Office within 10 days of trial. The Appellate Court determined that the 10 day Notice requirement only applies if the State first Demanded a Written Notice to the Defendant if an Alibi Defense will be used. In Martin’s case the prosecutor failed to give such Demand for Notice, thus the 10 day requirement does not apply. However failing to list the witnesses timely can be considered a Discovery Violation. Martin was granted a new trial. The bottom line, it is best for your Defense attorney to provide an Alibi Defense in an early and timely manner, because the State may decide to drop your case if they feel your Alibi is credible.